EuroMillions creates thousands of winners in each draw with its 13 total prize categories. But, we’re here to talk jackpots, because the biggest EuroMillions jackpot winners have won life-changing, dream-fulfilling amounts of money! As have EuroMillions Superdraw winners, but that’s another story. What some of the big winners have done with their huge windfalls is incredible and inspiring. Just think, they won for one simple reason: they played! Read about the biggest EuroMillions jackpot winners and try to join them by playing EuroMillions online. Or, better yet, play now, then read the article! The third time that the EuroMillions jackpot reached its cap was in September 2017 and there was only one winning ticket for the big €190 million draw. There was a single winner from Spain, who has collected the prize but chose to keep his identity private, but it was revealed in the news that the €190 million ticket was purchased in Las Palmas, Gran Canaria. This is a very popular vacation spot for people from all over the world, Brits especially. It is still unknown if the winner was in fact of Spanish origins or somebody visiting Las Palmas. After the Bayford’s became the top winners in the EuroMillions in 2012, the first prize reached €190 million for the second time in October 2014. The entire prize was scooped by a single ticket holder in Castelo Blanco, Portugal. The big winner decided to remain anonymous, but the press revealed that the lucky ticket was purchased from Sobedis Tabacaria in the Alegro Shopping Centre. Graça Nunes, the owner of the shop said that this was the first ever jackpot-winning ticket they had ever sold there. After the news of the big EuroMillions winner, Sobedis Tabacaria has a significant boost in lottery ticket sales. Adrian and Gillian Bayford played the lottery on a regular basis and on August 10th, 2012 it paid off in a very big way. Much to their surprise, they had all the five main numbers and both Lucky Stars on their ticket. They had won the entire jackpot worth €190 million! The couple planned to donate generously to charity. They also talked about taking a train trip through the Canadian Rockies and going to Disney World with their children. However, only 15 months after their record win, the Bayford’s got a divorce. Adrian Bayford is still very invested in his movie and music memorabilia shop, which he owned prior to winning the lottery. He currently has the largest collection of Lady Gaga memorabilia in the whole of UK. The EuroMillions held one of its fantastic SuperDraws on June 7th, 2013, which came with a huge jackpot of €100 million. There was no winner that evening and then the jackpot rolled over for another five draws until it reached a whopping €187 million on June 25th, 2013. This time, there were two winning tickets for the pot – one from Dublin, Ireland and one from Limburg, Belgium. The two lucky winners got an equal share of the prize, worth €93 million. Both winners chose to keep their identities private, but they will always be part of the lottery’s Hall of Fame. Colin and Chris Weir have the distinction of being the UK’s biggest EuroMillions winners as the exchange rate at the time netted them £161 million! At the time, the Weir’s jackpot win was a jaw-dropping record breaker, turning the Scottish couple into overnight celebrities. The couple used part of their winnings to establish a charity organization, The Weir Trust. They also bankrolled the Scottish independence referendum, which was ultimately voted down. The Weirs made at least one move straight out of the lottery winner playbook: they bought a mansion worth £3.5 million after only a few moments of consideration. On February 3rd, 2006, the EuroMillions jackpot reached €183 million after 11 successive rollovers. 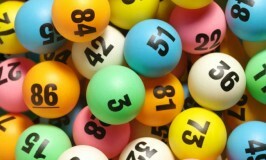 According to the EuroMillions rules of 2006, jackpots could only roll over for 12 draws before the pot had to be won. On the 12th and final draw, there were three jackpot winners, two from France and one from Portugal. The prize was split evenly between the three winners and each of them got a €61 million share. All three of the winners opted to keep their identities private after the win. After the big win in February 2006, the EuroMillions jackpot had another rollover streak. The 12th rollover, with a running jackpot of €183 million, took place on November 17th, 2006 and this time there was no first prize winner. Since this was a must-be-won draw, the entire jackpot was transferred to the second prize fund and it was split between twenty ticket-holders who matched the 5 main numbers and one of the Lucky Stars. Each of them scooped a €9.6 million share of the pot. There were 7 winners from the UK, 4 from France, 3 from Spain, 3 from Portugal, 2 from Ireland and 1 from Belgium. A family syndicate from Dublin, Ireland won a whopping €175 million on February 19th, 2019. After the EuroMillions Superdraw of February 1st, which brought a €120-million pot, did not render a winner, the first prize rolled over until it reached this fabulous amount. The Irish syndicate wished to stay away from the lime light and they assigned a family representative to collect the prize. “This is unbelievable – it will take us some time to get our heads around this win and to organize ourselves”, he told the press. The Naul family wants to share the EuroMillions fortune with the entire family, but keep their lives as normal as possible after their big break. November 13th, 2012 saw one very lucky Frenchman become a man of means when he was the sole winner of a €169.8 million jackpot! The man wished to remain anonymous and avoid some of the pitfalls of being a lotto winner. However, he wanted Francais des Jeux, the French lottery operator, to publish the name of the store where he bought his ticket. They refused to do that, so he granted an interview to his local paper in Nice. From this interview, it was revealed that the winner, Jacques, is a ‘self-taught man of culture’. He was 63 years old at the time of his win and set up a charitable foundation to benefit community projects in France. On October 11th, 2016, the jackpot reached a whopping €168 million, following one of the EuroMillions Superdraws. The entire pot was scooped by a single player from Belgium, who bought the ticket at the Librairie de l’Europe shop in Schaerbeek, Brussels. While the winner decided to stay anonymous, it was revealed that he was a father-of-four who immigrated from Kosovo, Albania. He moved to Brussels where he worked for the city’s waste management service. He said that he would want to donate part of his EuroMillions prize to charity. The Secret to Winning a EuroMillions Jackpot? Reading about these fairy tales come true might lead you to believe that it can’t happen to you, that you’ll never win. What’s the secret to winning a huge EuroMillions jackpot? There is no secret, all you need to do is play EuroMillions online! If you don’t know how to play EuroMillions it’s easy to learn and start playing. Keep playing and keep believing and maybe you’ll be on this winners list next!